I love chia seeds, I love chia seed pudding, oatmeal with chia seeds, I love to sprinkle the seeds on my salads and into my smoothies. But I’d have to say that the thing I love the most is chia seed pudding, especially in the mornings as an easy hassle free breakfast. To top it off chia seeds are filled with nutrients and we all know that the first step to healthy and clean skin is a healthy diet. Sidenote: I also completely adore the trend of putting your food in jars, it is just so cute! First, we will start with the ratio of chia seeds to liquid (I love to use coconut milk in my pudding). So, for whatever liquid you use, you have to use 1 cup to every 1/4 cup of chia seeds. From this, you can basically add whatever you want to your chia seed pudding base and make your own yummy creation. Another thing I love about chia seed pudding is how easy it is to make. After you mix all your ingredients together you can leave it in the fridge in order for it to thicken up into the consistency you want. I would usually make my pudding before bed so I can just grab it out of the fridge in the morning before an 8am lecture. If you want you can make several servings in one batch and just keep it in the fridge, it should sit well for a few days. * for sweetening you can add as much as you want. l I think the coconut milk is already sweet enough and doesn’t need more sweetness especially after you top it with yummy berries and other fruits. I love to top off my chia seed pudding with raspberries, bananas, almonds, and a tablespoon of cacao nibs. Chia seeds are an antioxidant-rich food, and an antioxidant-rich diet means that your skin will repair faster and further damage will be prevented, by eating antioxidant-rich foods you can prevent the premature aging of your skin. Who doesn’t love healthy and youthful looking skin? 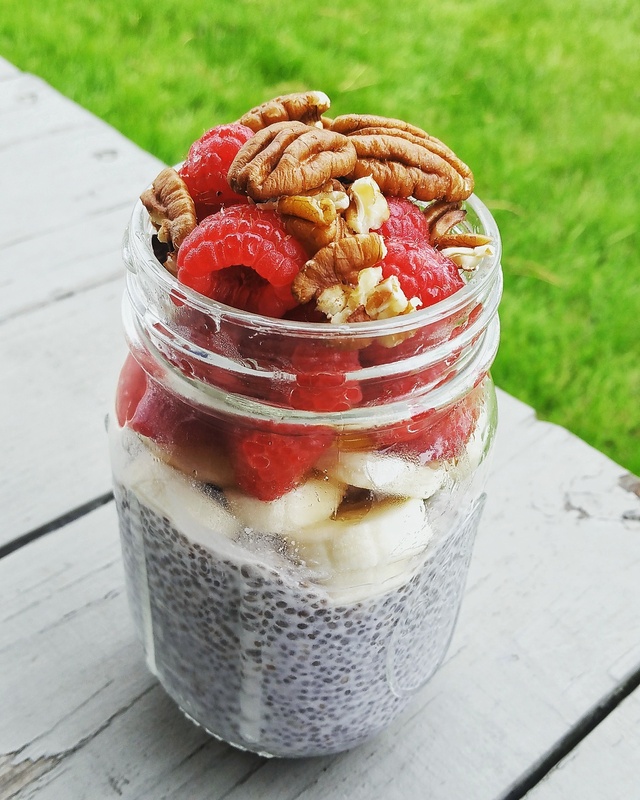 What do you guys like to top your chia seed pudding with? Do you have a quick go-to breakfast that you love?